HSBC Group’s history in Singapore dates back to 1877 when its founding member, The Hongkong and Shanghai Banking Corporation Limited, opened its first branch on the island. HSBC in Singapore offers a comprehensive range of banking and financial services including retail banking and wealth management; commercial, investment and private banking; insurance; forfaiting and trustee services; securities and capital markets services. HSBC opened its first office in Singapore in 1877. By this time, the port of Singapore was the largest trading hub between Calcutta and Hong Kong. Prior to opening an HSBC office, the bank had conducted business in Singapore from 1865 through an agency. Shortly after it opened, HSBC Singapore became one of the first members of the local chamber of commerce. HSBC Singapore’s early business consisted of the provision of loans to Chinese merchants and the financing of the import, export and entrepot trade (where goods are imported and stored for re-exporting). Early customers included MacLaine Fraser & Co, Straits Insurance Company and Singapore Insurance Company. In 1879 the branch tendered for the Singapore Government account. By 1884 it was banking half of the government’s accounts deposited in silver. 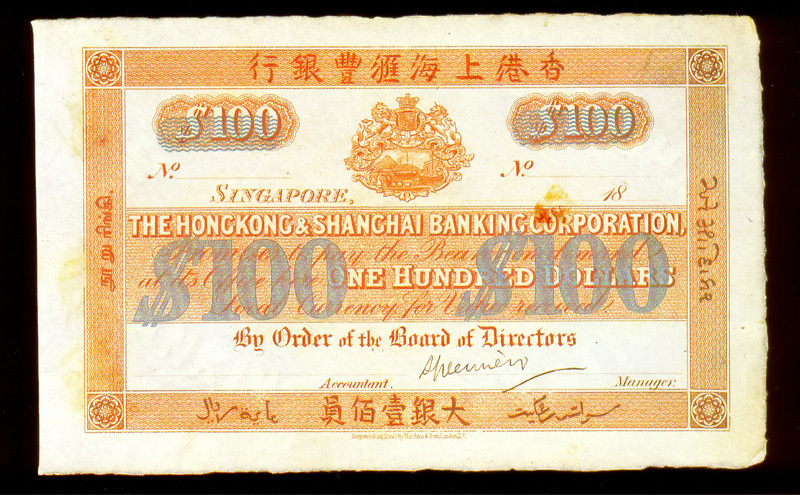 The Singapore office had the right to issue banknotes from 1881 to 1909. The notes were trusted by local merchants as a stable and secure currency for transacting business and were significant in Singapore’s economic development. As a reflection of the multicultural nature of Singapore, each denomination of banknote was translated into English, Chinese, Malay, Arabic, Tamil and Gujarati. 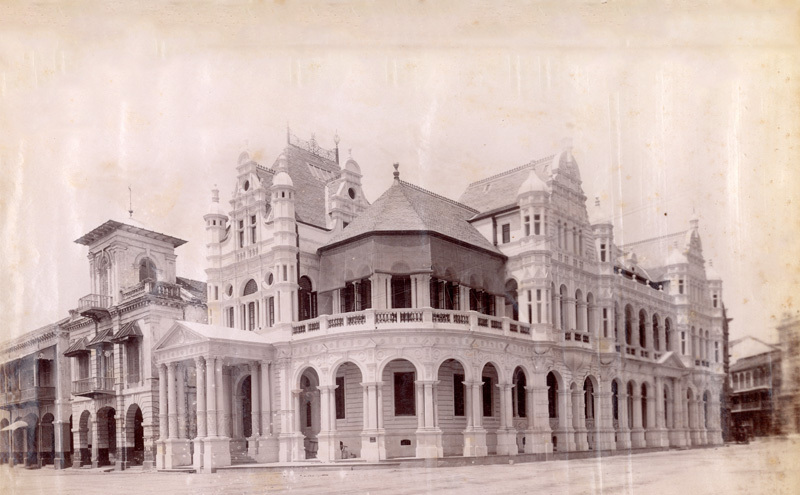 Having bought the site in 1890, the bank built its first Singapore premises at Collyer Quay in 1892, under the supervision of architectural firm Swan and MacLaren. The building was to serve the bank for the next 26 years and the site has been the location of HSBC’s Singapore headquarters ever since. HSBC Singapore’s main business in the early 20th century was the financing of rubber and tin. 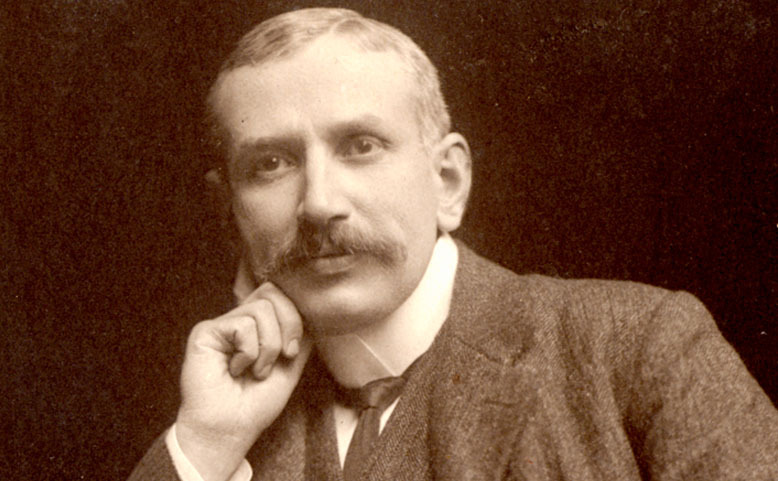 Singapore branch manager Sir John Peter, who served from 1911-22, persuaded leading rubber merchants to open HSBC accounts. 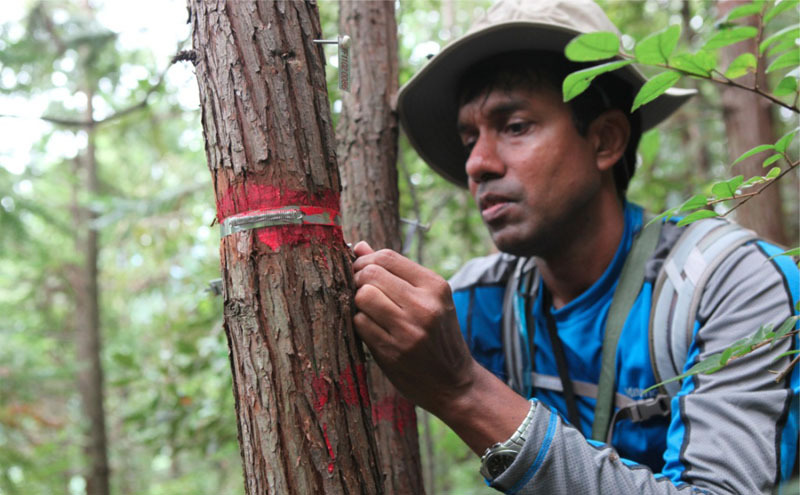 By 1918 rubber constituted 35 per cent of Singapore’s total export trade. HSBC led the way in financing rubber and was one of the first banks to provide finance to the Lee Rubber Group (now Lee Group). HSBC played an important part in the reconstruction and rehabilitation of Singapore’s economy after the Second World War. By 1948 it handled 35 per cent of Singapore’s foreign and trade exchange business. In the post-war period, the Singapore branch network expanded to support Singapore’s industrial development as well as to satisfy the growing suburban population’s need for increasingly sophisticated banking facilities. The bank opened in Orchard Road in 1949 and Tanglin, Beach Road, Queenstown, Jurong, Bukit Panjang and Serangoon during the 1950s and 1960s. HSBC’s earliest roots in Singapore can be traced back to 1856, through the Mercantile Bank of India. 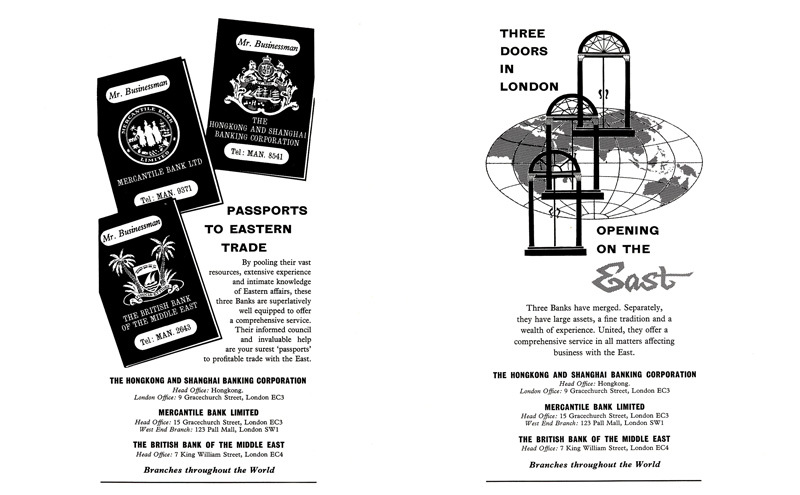 In 1959 HSBC acquired the Mercantile Bank. When the deal was completed, the Mercantile Bank was operating 35 branches, with an especially strong presence in the Indian sub-continent. As a result of this acquisition HSBC became one of the largest foreign financial institutions in East Asia. In the 1960s and well into the 1970s, the main business of the Singapore branch was the finance of large-scale imports and exports, including rubber, palm and pineapples. The business also diversified into hire purchase, leasing, warehousing, property development, computer services and discount house activities. 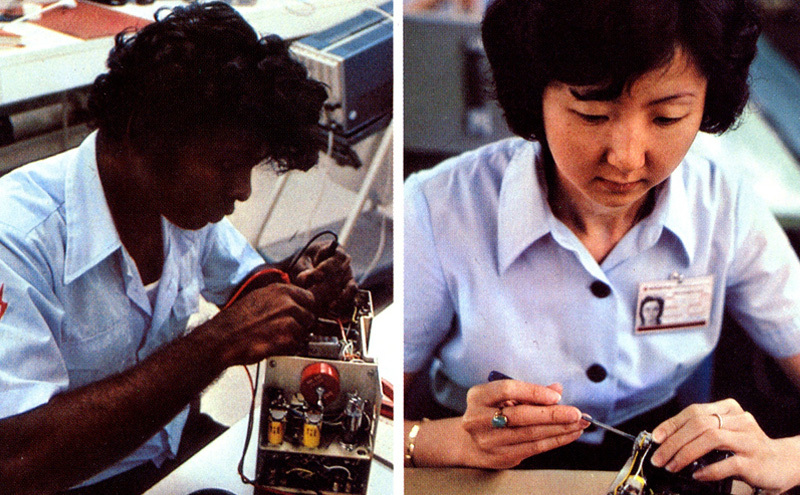 The 1970s also saw HSBC leading technological advances in Singapore. It unveiled the first computerised accounting system in 1971 and the city’s first automatic cash dispenser a year later. These competitive services provided customers with increasingly easy ways of carrying out transactions.